What if you could combat any of the bad ingredients and protect yourself from sun burn? Well we have the solution! On our website is a product called Curasol. This product contains Curaderm BEC5. This means that you can prevent yourself from nasty sunburn as well as protect your skin from skin cancer. 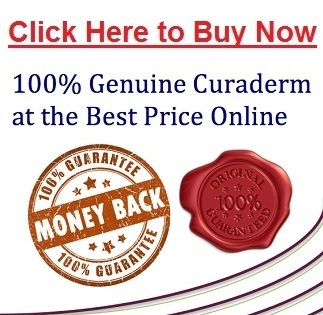 If you are already using Curaderm BEC5 to treat your cancers you may have already heard of this product. By using Curasol you can prevent the use of Curaderm BEC5. We highly recommend the use of this product and we use it ourselves on a daily basis and on all holidays. For the rest of this month only, we are offering Curasol at a discount. Don’t pay $70 for a bottle of Curasol, get it for 1/2 price! For this month only, we are offering Curasol at $35, that a $35 saving. There are many articles out there claiming that sunscreen actually causes skin cancers and does not prevent them. Most of these articles state that it is the profit seeking tag team effort between the cancer industry and the sunscreen industry that promote the goodness of sunscreen. People believe that Doctors also encourage the use of sunscreen as they too are also easily influenced by commercial interests. Most of these articles state that scientific evidence shows sunscreen promotes cancer by blocking the body’s absorption of ultraviolet radiation, which actually stops the body’s production of vitamin D in the skin. Vitamin D is meant to help prevent skin cancers. So is there any truth behind these claims? Well, this is what we know about it. Titanium Dioxide and Zinc Oxide are contained in sunscreens. These ingredients are visible to the eye and are what turns you skin white when you apply sunscreen. Users do not like this though. This is why sunscreens have been developed to rub completely into the skin. Most sunscreens are invisible once rubbed in and these types of sunscreens are more popular then zinc. To make sunscreens invisible on the skin, the particle size of the Titanium Dioxide and Zinc Oxide are reduced. These are then “nanoparticle” (less than one millionth of a millimetre) and can’t be seen on the skin but they still retain the screening properties of the coarser material. The concern is that the nanoparticle of the Zinc Oxide and Titanium Dioxide are then able to be absorbed into the skin cells and they could possibly interact with sunlight and increase the risk of damage to your skin cells. Also, if the nanoparticles get into your blood stream through the skin, they may pass through organ your barriers such as your blood-brain barrier. This brings forward the concern of whether your body can cope with these foreign materials (biocompatability). If the nanoparticles are in your blood circulation, this can increase the potential for them to interaction with cells lining that line your arteries. These cells play critical roles in blood clotting and inflammation. Another concern is that the organic chemical compounds that are in sunscreens, which absorb the sun’s UV light, are actually activated by UV light. The absorbed energy from the UV light breaks the organic chemical compounds to produce free radicals, which may initiate a chain reaction. If this happens, this would ultimately lead to you getting skin cancer. The Health Regulation Departments have assessed the risks and benefits of wearing sunscreens that are organic chemical UV absorbers and mineral or physical blocks blocks in nanoparticle and have concluded that the benefits outweigh the risks. They have based their conclusion on the fact that these sunblocks and the chemical UV absorbers do not penetrate the skin. This conclusion is questionable. 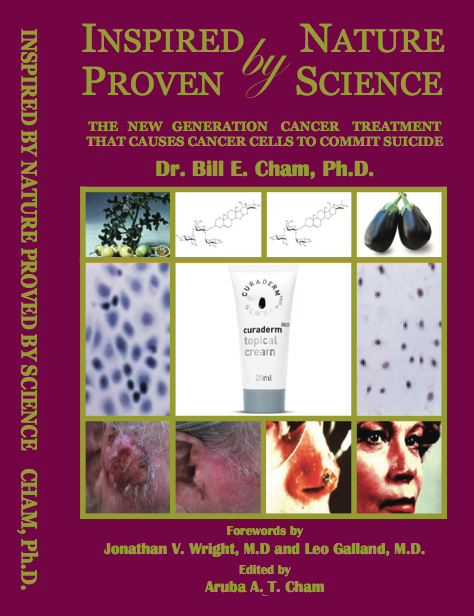 It cannot be assumed that these cancer causing agents are not penetrating the skin. Many studies report that oxybenzone, which is a widely used UV absorber can disrupt the body’s hormone system, penetrates the skin and enter the bloodstream. Also, Vitamin A in its sunscreen formulations when used on skin exposed to sunlight can result in cancerous tumours. “Lancet” – showed that the sunscreen oxybenzone is absorbed by the body and subsequently excreted in human urine. Clinical Pharmacology (British Journal) – reported that all sunscreen agents investigated penetrated into the skin. FEBS Lett – reported that all sunscreen titanium dioxide samples tested catalyzed DNA damage and are thus were carcinogenic. From this it was concluded sunscreens could contribute to sunlight-related cancers even though they prevent sunburn. So, scientific research shows that there is but does this mean you should stop wearing sunscreen all together. Is it worth the risk? Dr Bill Cham received this wonderful story from Alex from Spain. We thought it would be great for everyone to read. “I just want to thank you for everything. I am now cancer free as of about a week. Curasol worked perfectly just as you said on the superficial cancer and was of course easier and less painful to apply. The whole process took 6 and a half months because there was always some new area reacting and opening up as a result of being close to Curaderm. Unbelievable how loaded I was. I hate to think what that would have meant had I gone the conventional quack route. I probably would have ended up looking like the head operated man in Dr. Bill´s book. I hope to keep in touch and you have another devoted friend in Spain should you or Dr Bill ever visit. Please give my kindest regard to Dr Bill who deserves the Nobel prize for medicine.